Families Sprung Forward - 5th annual event hosted our largest numbers ever! More than 120 parents, caregivers, children and teens learned, played, and connected at our 5th Spring Forward Family Fun Day for foster, adoptive and kinship families on Saturday, April 7. Exclusively for foster, adoptive and kinship families, the day featured activities for children and youth, a keynote on building resiliency in ourselves and our children, workshops for caregivers and parents, food, and a terrific fun fair. We recognize our sponsors: Fairfax County Neighborhood and Community Services and the wonderful staff at Providence Community Center; Youth for Tomorrow; For Children's Sake; One Church One Child ; Connecting Hearts of Virginia; the Northern Virginia WIOA Youth Program; and PEATC. We appreciate the efforts families made to attend and prioritize this day of family fun. Finally, a BIG THANK YOU to our bevy of GMU student volunteers- way to go, Mason Nation! We hosted a full house of social work, counseling, education and other professionals for a terrific on-target trauma workshop, April 6. Thank you to Dr. Elizabeth Meeker for sharing strategies to address trauma in our schools and community settings by recognizing signs and symptoms and being ready to respond constructively, building relationships and resilience. Youth and Young Adults: Connect Now! Ready to lead? 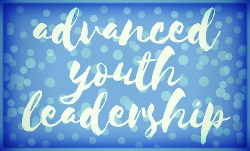 Youth MOVE Virginia is offering a free Advanced Youth Leadership Training May 19-20. Designed for 16 - 25 year olds, the training connects youth and youth adults with peers and boosts personal skills. Learn more HERE. Q & A: Free Appropriate Public Education (FAPE): What does Endrew F. mean? Q: I keep hearing about the Endrew F. case. What does this mean for families who have children with IEPs? A: The right to a free, appropriate public education (often called FAPE) for all children with disabilities is fundamental under the federal special education law, the Individuals with Disabilities Education Act (IDEA). How to define a FAPE was a key question addressed in a recent court case decided by the US Supreme Court in March 2017. More information about the case can be found in a Q & A document from the US Department of Education HERE. An Endrew F. toolkit for parents is available from Understood.org HERE. Learn more about special education in Haymarket on April 26! April 14- Family and Youth Leadership Summit, hosted by NAMI of Virginia, Virginia Family Network, Midlothian. FFF will be there! April 14- Dream, Explore, Create Your Own Path 2018, hosted by Arlington Public Schools. April 17- Choosing Child Care, hosted by Fairfax Child Abuse Prevention Partnership, McLean. April 19-20- PEATC Parent Institute Training, Springfield. April 19- The Role of Restorative Language in Enhancing Family Connection, hosted by Loudoun County Public Schools Parent Resource Services, Ashburn. April 25- Preparing Students with Learning Differences for College, hosted by Alexandria City Public Schools Parent Resource Center, Alexandria. April 25- Introduction to Special Education, hosted by Arlington Public Schools Parent Resource Center, Arlington. April 26- How to Make Special Education Really Work for Foster, Adoptive and Kinship Families, presented by FFF, hosted by Bull Run Mountain Civic Association Community Center, Haymarket. April 26- Autism 101, hosted by Autism Society and Infant and Toddler Connection of Prince William, Woodbridge. April 30- When A Loved One Struggles with Substance Abuse, hosted by Fairfax County Kinship Family Institute, Alexandria. May 4- Irritability in Children, hosted by Fairfax County Public Schools Parent Resource Center, Dunn Loring. May 11- Family Movie Night at Formed Families Forward; focus on clips from This Is Us and stories of family identity; Fairfax. Throughout April- Virginia Northern Candidate Disability Forums, sponsored by The Arc of No Va, Autism Society and The Arc of Loudoun.